POYNETTE/RIO – Byron J. Walters, age 88, passed away peacefully at his home in Rio on Saturday, April 6, 2019, surrounded by his loving family. 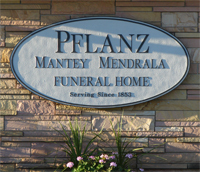 Funeral arrangements are pending at the Pflanz Mantey Mendrala Funeral Home in Poynette (www.pmmfh.com). A full obituary will be published in the upcoming days.